ROB|ARCH has been initiated by the Association for Robots in Architecture as a new conference series on the use of robotic fabrication in architecture, art, and design, closely linking industry with cutting-edge research institutions. In December 2012 the conference was hosted by its founders in Vienna, Austria. In 2014 the conference travels to North America, hosted by the University of Michigan Taubman College of Architecture and Urban Planning. Continuing with the previous theme of collaboration, the conference seeks to bring together artists, designers, fabricators and industry leaders for the purpose of advancing the discourse surrounding robotic fabrication. 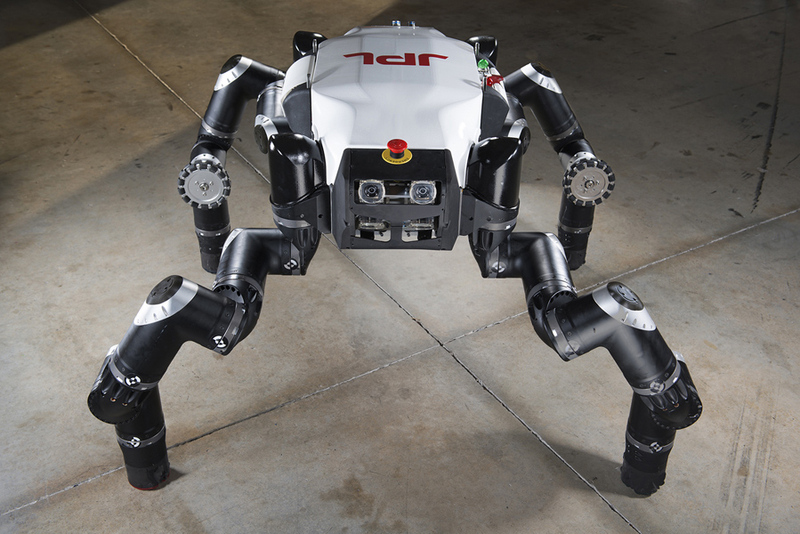 Following on the success of ROB|ARCH 2012, the conference will again present a series of workshops held at the University of Michigan, Carnegie Mellon University, and Princeton University, aimed at exposing the advanced capabilities of applied robotic research. Following the workshops, the conference will span two days at the University of Michigan Campus in Ann Arbor, Michigan, about an hour outside of Detroit, the origin of robotics in North America. The internationally renowned publishing house Springer Wien/New York will publish and market the proceedings of the conference worldwide. Industrial robots are the ultimate flexible manufacturing tools. Designers are taking this to heart; contemporary research and production via robotic fabrication borrows from more mature manufacturing industries in order to accelerate the translation from “design to production”. Whereas task-specific machine tools support the efficiencies of mass-production, robotic workcells can be reconfigured, allowing a generic machine to perform a wide range of tasks. What robots may lack in extreme precision, they rapidly recover in “intelligence”….cooperative, closed-loop production cells now learn and adjust their technique in real-time. At the other end of the scale, robots are emerging as in-situ construction tools, achieving the dexterity to perform an active role in direct, on site fabrication challenges. The international Association for Robots in Architecture is originally a spin off association of Vienna University of Technology. Its goal is to make industrial robots accessible for the creative industry, artists, designers and architects, by sharing ideas, research results and technological developments. 25% discount for Workshop/Conference Admission for 2014 Members of the Association Robots in Architecture! This entry was posted in Architecture and tagged achieving the dexterity to perform an active role in direct, allowing a generic machine to perform a wide range of tasks, Architecture, Association for Robots in Architecture, Carnegie Mellon University, efficiencies of mass-production, on site fabrication challenges, Princeton University, robot’s potential in architecture, robotic workcells can be reconfigured, robots are emerging as in-situ construction tools, ROB|ARCH, University of Michigan, University of Michigan Taubman College of Architecture and Urban Planning, Vienna University of Technology. Bookmark the permalink.